Vivo has recently released its latest flagship the Vivo V9 which is equipped with the ever-fun and enjoyable AR Stickers. AR Stickers are decorative stickers one can use to jazz up their selfies. Cute and with a wide array of designs to choose from, the Vivo V9’s AR Stickers level up selfies the delightful way. 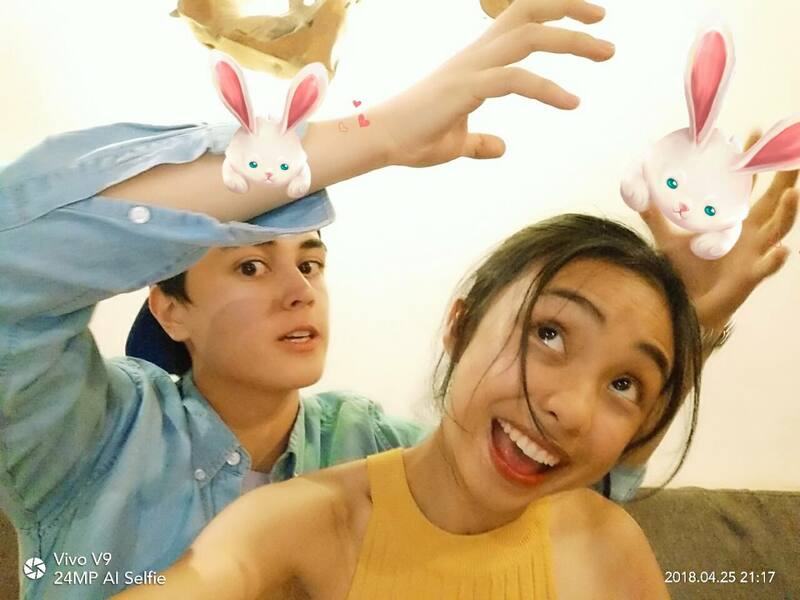 The V9 AR Sticker is one of the features that Vivo Endorsers Maymay Entrata and Edward Barbers enjoys very much. The AR Stickers is a special app built-in for the Vivo V9 which is slowly gaining popularity for the flawless selfies it produces. The Vivo V9 smartphone is an artificial intelligence (AI) selfie camera with a 16 MP+5 MP dual-camera setup. The V9 also packs in a Qualcomm Snapdragon 626 processor which boasts of a high-caliber CPU and GPU performance, making smartphone gaming and entertainment experience notches higher above all the rest. The Vivo V9 with its many thumbprint features such as the AR Stickers come in pearl black and gold and, most recently in stylish red, is priced at only Php 17,990.00.